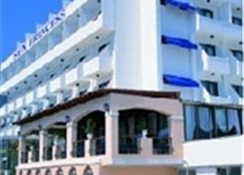 The Sun Princess hotel is located on the edge of the vibrant town of Marmaris. Close enough to make good use of the restaurants, bars and shops and far enough away to relax in the peaceful environment of the Sun Princess Hotel. A short walk (just 130m) to the beach will find many activities including watersports and locally there is a dazzling nightlife, many unspoilt beaches and historical & cultural sights to visit. 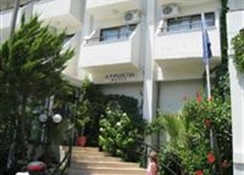 The hotel is 100 kilometres from Dalaman Airport (DLM). 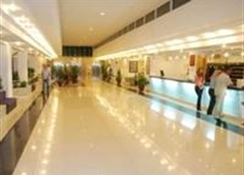 All meals in the Sun Princess hotel are buffet service with good choice of dishes. The complex has its own swimming pool with free sun beds and a pool bar, a children's pool section, table tennis, Main restaurant with indoor and outdoor dining on the terrace, watersports on the public beach, TV room, dry cleaning and laundry facilities. Safety deposit boxes are available at reception (payable locally). The guest rooms in the Sun Princess hotel are set in 2 blocks and are comfortably furnished with either twin or double beds (some can take an extra bed), are air-conditioned (centrally controlled, working set hours) with a shower/wc (some rooms have a bath), hairdryer, balcony, telephone and satellite TV.